Subject: Good shop aroiund detroit ? I am going to Detroit mid March. Is there a nice wargame shop over there ? Let me second RIW. Their wargames collection in particular is mostly GMT, DVG, and Compass, but that's still heads-and-shoulders above the other shops in the area, who thought "hex-and-counter" was some kind of series they had never heard of. Staff is friendly as well. Of course, I took the picture for a friend looking for DVG games. Edit : and sorry for the low quality of the picture, they were mainly "utilitary"
It is nice seeing wargames at a game store. Thankfully I do have one here where I live, run by a fellow BGGer in fact, but even he can only stock so many wargames. Most are only available online it seems. 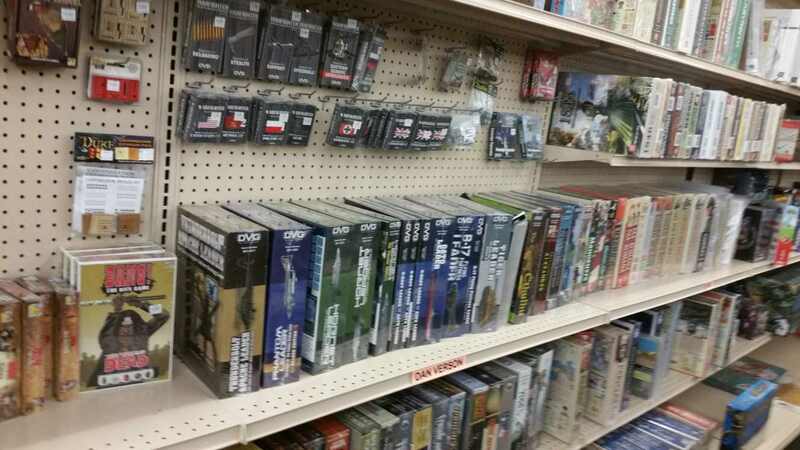 R.I.W has done some reconfiguration of the store, including the wargames section. Whether or not it actually is, it does seem smaller. It has been some time since I have been to G.O.B. (Guild of Blades) Retail in Clawson. They carry wargames as well. 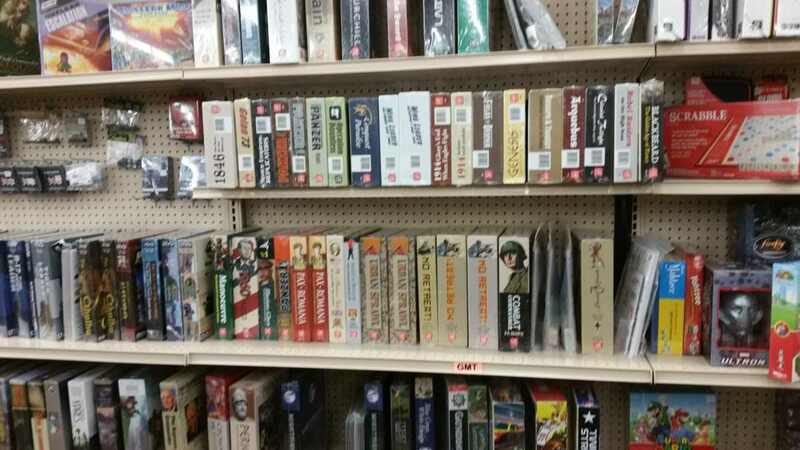 My picture is not really representative of the physical size of the wargame section, it was taken with a cellphone at close distance, which is not very good to estimate sizes.